Whether you just moved to Plaza Midwood or have lived here all your life, there's always something new to explore. Here's a quick rundown of a few resources you'll want to be aware of, then read further for tons of insight into what makes Plaza Midwood special. Stay up to date on all the major news surrounding Plaza Midwood by joining our e-newsletter mailing list or our Neighborhood Watch mailing list, following us on Facebook, Twitter and Instagram and signing up for Nextdoor. You'll also begin receiving The Spirit, our quarterly neighborhood newsletter. PMNA hosts meetings throughout the year to follow issues on Land Use, Crime & Safety, the community garden and historic district news. We also hold quarterly neighborhood meetings. You can be aware of each of these by following our event calendar. The Plaza Midwood Merchants Association is our sister organization that oversees local merchants, restaurants and businesses. You can learn more about all the great stuff happening in our commercial district HERE. Our Midwood Mommies group on Facebook meets regularly to bring neighborhood moms together, plus it's a great resource for recommendations and insight. Plaza Midwood's school board rep is District 4, and our feeder schools are Shamrock Gardens Elementary, Eastway Middle and Garinger High School. If you're new to the neighborhood, you'll need to register to vote or update your address. You can find information to do that, along with the details on your neighborhood representatives for school board, city council and county commission HERE. Plaza Midwood is District 1 for city council and District 4 for school board and county commission. Other district information can be found here. Is your home in the historic district? If so, there are important guidelines to follow for any projects -- from painting to putting an addition onto the back. Here's a map of the historic district. Cankerworms can be a big problem in Charlotte. Each year, PMNA works to provide free tree-banding kits to neighbors, but you can also find numerous professional services online. We strongly encourage all neighbors with large trees to consider banding to avoid an insect infestation. Find a calendar of your trash and recycling schedule HERE. Want to get to know neighbors and find out about all Plaza Midwood has to offer? We have tons of volunteer activities, sell great Plaza Midwood merchandise and offer fun opportunities like our neighborhood Skill Sessions and National Night Out to meet friends in surrounding neighborhoods, too. Be sure to follow our event calendar for details. Have more questions that aren't answered here or below? Let us know and we're happy to help. You can reach us via email at info@plazamidwood.org or find individual contact information HERE. 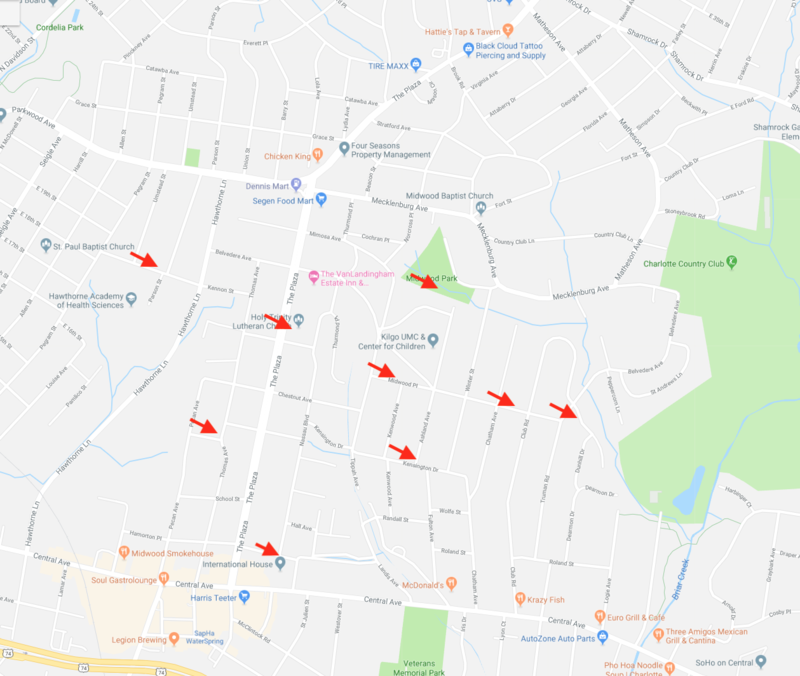 It's not uncommon for residents to assume they live within the Plaza Midwood boundaries, but this isn't always accurate. Many realtors and businesses will use the label loosely to convey the general area of town, but the neighborhood does have some specific boundaries. Plaza Midwood is generally considered to be Parkwood Road and The Plaza to the north, Hawthorne Avenue to the west, Briar Creek to the east and Central Avenue to the south. Whether you're a Plaza Midwood neighbor, a resident in one of our surrounding neighborhoods or just visiting, however, you're always welcome and we're glad to have you involved in our community. PMNA's quarterly meetings include a 30-minute mixer starting at 6:30 for neighbors to meet and mingle prior to the meetings. These occur the fourth Thursday of January, April, July and October at Resident Culture Brewing. Want to throw a block party? Learn how to close your street HERE. 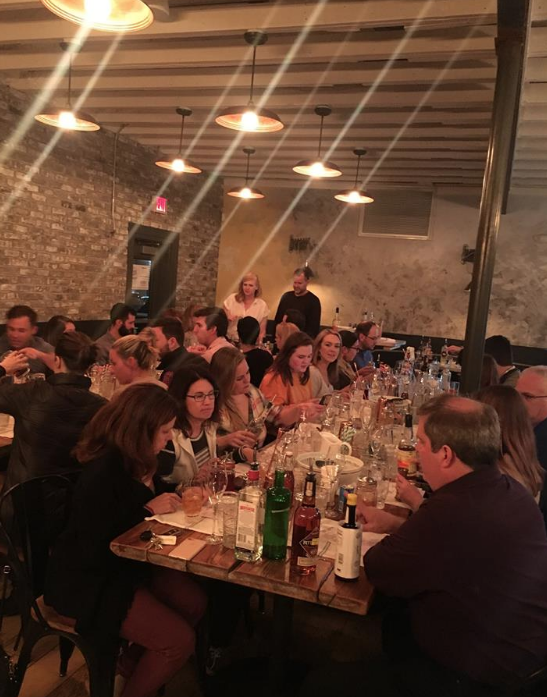 PMNA partners with Belmont, Commonwealth Morningside and NoDa for monthly "Neighborhood Skill Session" classes, where you can meet some neighbors and learn some new skills - from cocktail making to cyber security. Plaza Midwood's community garden group is a great way to meet neighbors, practice your green thumb and get outdoors. They meet at Midwood Park on the third Saturday of each month from 9 a.m. to 11:30 a.m.
Plaza Midwood began in the early 1900s -- circa 1903, as the signs say -- as Charlotte's first streetcar suburb. The streetcar ran from uptown, down Central Avenue (then known as Lawyers Row) and up The Plaza. It was among Charlotte's most thriving suburbs through the 1950s. In the late 1970s, as a highway was being planned to run through the area, neighbors banded together and eventually formed PMNA. 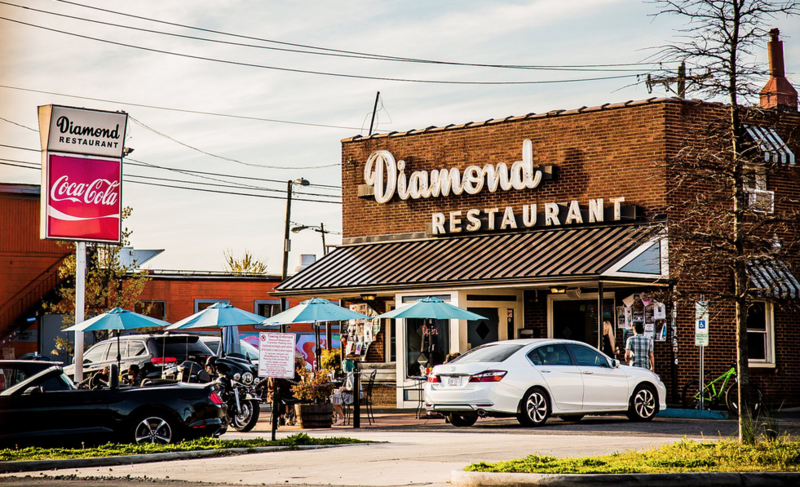 In the years since, Plaza Midwood has seen significant rejuvenation while holding on to its historic charm. There's a ton of great history from these archived Bullfrogs & Arched Doorways columns. Neighbor Jeff Byers has a terrific book on the neighborhood's history. 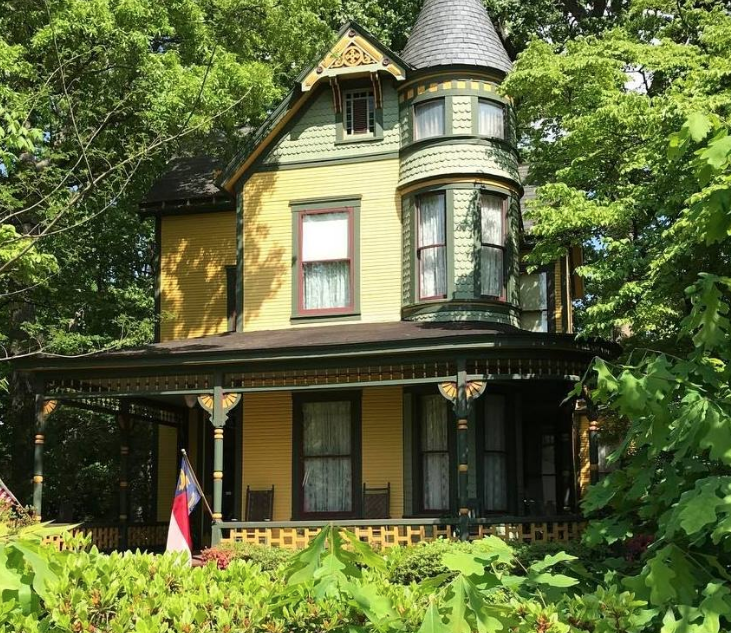 You can also find lots of great Plaza Midwood history from neighbor and Charlotte historian Tom Hanchett, who routinely hosts walking tours and discussions on the neighborhood. Looking for recommendations on plumbers, handymen and other odd jobs? We recommend utilizing NextDoor's lists. All BOCC meetings are held at the Government Center, 600 E. 4th Street. Budget and Public Policy Workshops are held on the second and fourth Tuesday of each month at 3 p.m. in Room 267 (2nd floor). Regular meetings are held monthly every first and third Tuesday at 6 p.m. in the Meeting Chamber. Sign up to speak HERE. City Council holds public forums on the second and fourth Monday of each month and zoning meetings on the third Monday. Find agendas or sign up to speak HERE. Plaza Midwood's CMS feeder schools are Shamrock Gardens Elementary, Eastway Middle and Garinger High School. For information on CMS Magnet programs, click HERE. For parents of younger children, there are several daycare/parents day out programs nearby, too. Plaza Presbyterian, The Vine and Midwood Baptist each host a daycare. There is typically a waiting list for each. Child Care Network is also available in nearby Commonwealth Morningside. Crime Mapping info can be found HERE. Plaza Midwood's Neighborhood Watch group offers monthly updates at our Coffee, Cops & Cake meetings (5:30-6:30 p.m. at Queen's Coffee Bar, 1720 Pegram St, second Wednesday of each month) and at our quarterly neighborhood meetings. You can subscribe to the Watch mailing list HERE. You can contact Plaza Midwood's Neighborhood Watch group HERE. 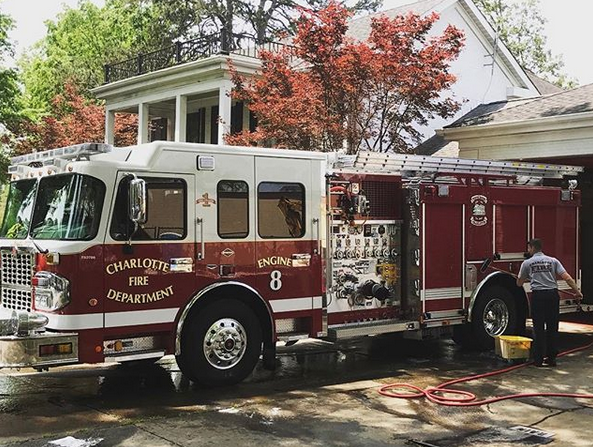 CMFD Engine 8 is located on The Plaza in the heart of Plaza Midwood's commercial district. The Plaza Midwood Branch of the library has an extensive kids section and dozens of kids and family events each month. Our Midwood Mommies Facebook group plans outings and offers great support and recommendations for neighborhood moms. Plaza Midwood does not have a neighborhood pool, but there are two options nearby: The Sharon Park Swim Club, a private pool for members, and the Cordelia Park pool, operated by the county. Music 4 Life offers KinderMusik classes at The Vine. Our Stroll & Roll group is working to make streets safer for families. 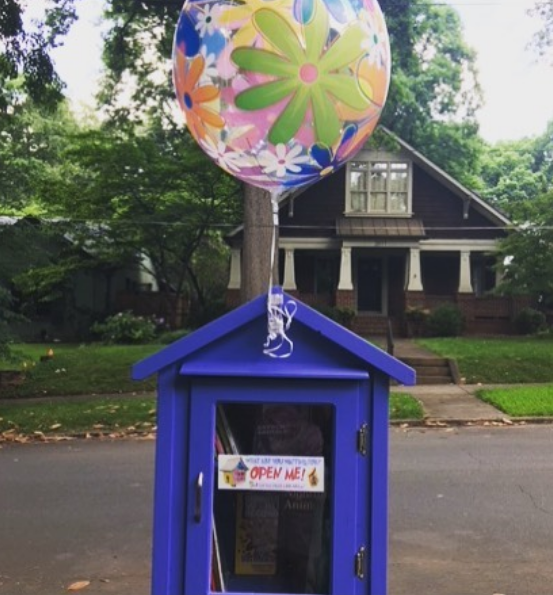 Plaza Midwood has a host of "Little Free Libraries," too. Find a map HERE. Kids eat free at Pizza Peel every Tuesday. Midwood Park is centrally located at 2100 Wilhelmina Ave., and hosts numerous PMNA-sponsored events. It offers baseball/softball fields, soccer fields, swing sets and kids play equipment, tennis courts, a sheltered area and an outdoor amphitheater. Bathrooms are also open during park hours. Veterans Park, located off Central Avenue, includes 19 acres of space to explore, including baseball fields, a splash pad and a walking trail. The Briar Creek Greenway runs from Arnold Dr. to Masonic Dr., along Plaza Midwood's eastern border. A Dirtway connection runs from Central Avenue to Independence. PMNA supports a completed connection between the Briar Creek Greenway and the Chantilly Ecological Sanctuary. You can voice your support for greenway expansion HERE. Learn more about Charlotte's tree banding services HERE. Learn more about Charlotte parks HERE. 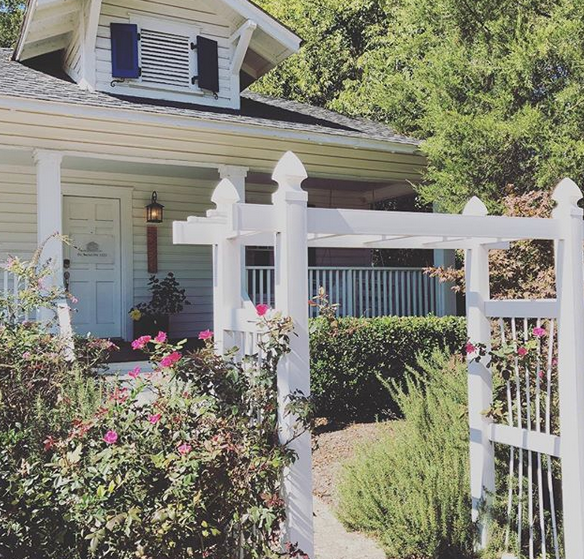 Plaza Midwood is one of Charlotte's oldest neighborhood, so we take great care to preserve its charm and history. PMNA encourages inclusive, environmentally friendly development with an emphasis on preservation. However, we are supportive of new development, particularly within our commercial district, and we work with the city on zoning issues, but do not have final say on many projects. If you're interested in learning about the latest in development and zoning in the neighborhood, please attend our Land Use meetings at 7 pm on the 3rd Wednesday of each month at The Vine (2101 Belvedere) or email landuse@plazamidwood.org. You can find more information and past minutes HERE. Plaza Midwood's historic district includes much of Thomas Avenue and The Plaza. All development and work in this area is subject to special rules, which you can find HERE. See here for more on zoning and rezoning regulations. The alleyways that run throughout the neighborhood are part of city easements and often provide utility access. These alleys may be used by adjacent homes but are not considered owners' property unless shown on your deed. To request maintenance or cleaning of the alleys, call 311. More info can be found HERE. Looking to have work done at your home? Nextdoor offers great recommendations for contractors and service providers. The nearest home improvement store is Home Depot on Wendover Road. No one likes to get out an move more than Plaza Midwood, and we have tons of great ways to burn off those extra calories from all of our beer and pizza. Plaza Midwood has several nearby gyms. The largest is the Johnston YMCA in nearby NoDa. For the Crossfit fans, Crossfit ATP is located in Commonwealth-Morningside, and Surgo Crossfit is in Villa Heights. Other options include OPEX Fitness of Plaza Midwood, and Camp Gladiator, which meets regularly in Midwood Park. 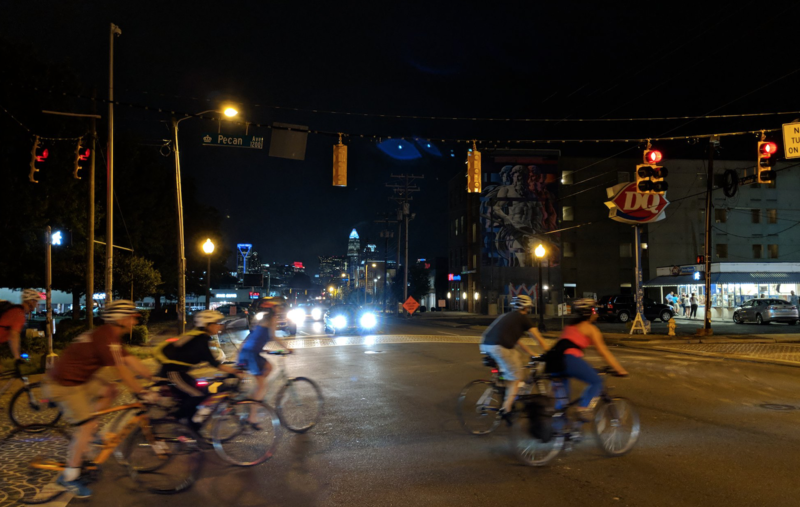 Tuesday Night Ride: Plaza Midwood is home to Charlotte's legendary Tuesday Night Ride, led by neighbor Pam Murray. The ride has happened every Tuesday night -- rain, shine, or snow -- since 2013. Meet at Common Market at 7:45, bring a helmet and lights, and be ready to enjoy a social 15-mile ride with a break around mile 10. Sunday Slow Ride: Social 15-mile ride similar to PMTNR. Leaves at 2pm (8pm in summer) from Okra Yoga. P-Ride: Casual ride that's a bit more of a workout. Leaves at 7pm from Petra's, expect 16-22 miles at a 15-17mph pace. Free Wheelin' Fridays: If you've been considering bike commuting, this is the group for you! Meet at Common Market for breakfast with fellow bike commuters, then head to Uptown at 8:15am. Cycling Savvy: Nervous about riding a bike in Charlotte? Don't be! Learn how to use a bike to go anywhere you want, safely and confidently. Classes are taught monthly by Plaza Midwood's own Pam Murray. The Legion Run Club meets every Thursday at 6:30 p.m. for a four mile run for intermediate runners. Plaza Midwood's Community Garden is a great way to dig in the dirt and meet neighbors. Our garden group also oversees our Yard of the Month contest. Yoga buffs will enjoy several great neighborhood spots, including Okra and Yoga One. Legion and Pizza Peel also host regular yoga nights. CATS bus routes service Plaza Midwood on the Nos. 3, 4, 9 and 23 routes. Routes and schedules for CATS bus service can be found HERE. The closest current light rail service is the Parkwood Avenue location, appx. 1.25 miles down Parkwood Avenue, past North Davidson. CATS Gold Line trolley service will reach Plaza Midwood near Hawthorne and Central Avenue upon completion of Phase 2 of the project. More information is HERE. Charlotte Spokes People offer insights on bike rides and bike communting throughout the city, as well as Bicycle Benefits stickers to earn discounts at local restaurants and breweries. Plaza Midwood hosts two outdoor festivals each year. Our Midwood Maynia event includes a 5K, a pet parade parade and live music, food and beer in Midwood Park on the first Saturday of May. Our Fall Crawl has a kids costume parade, trunk-or-treat fun, free tree-banding supplies and a full day of shopping, music and food in Midwood Park on the last Saturday in October. The Light Factory is one of Charlotte's best galleries and hosts terrific photography events throughout the year, along with educational classes. Art P.O.P. Street Gallery provides outdoor art throughout Charlotte, showcasing local artists. It's based in Plaza Midwood and features works from several neighbors. Charlotte Lit is housed at the Midwood International and Cultural Center on Central Avenue and is a resource for local writers. BOOM! is an arts and music festival that happens every April along Commonwealth Avenue with tons of artists, dancers and live music. Open Streets 704 is a semi-annual festival that showcases Charlotte's streets to pedestrians and cyclists. 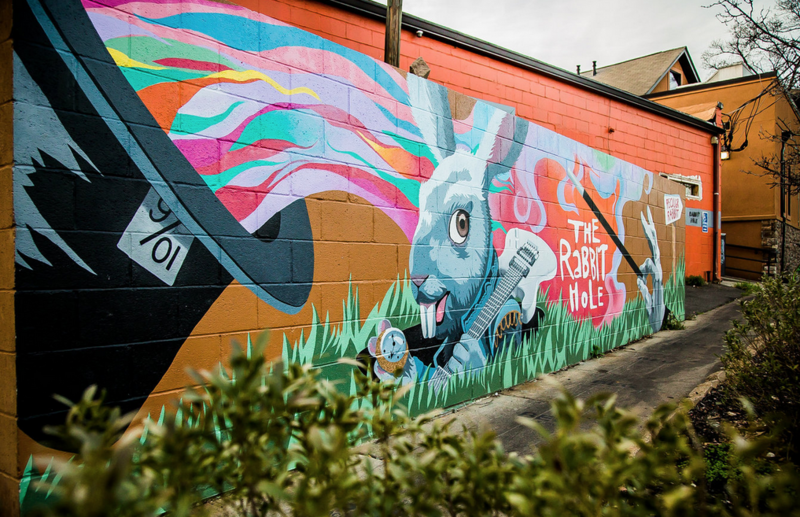 Plaza Midwood is home to the spring route each year, with vendors, games, music and fun throughout the neighborhood and into Belmont, Villa Heights and NoDa. 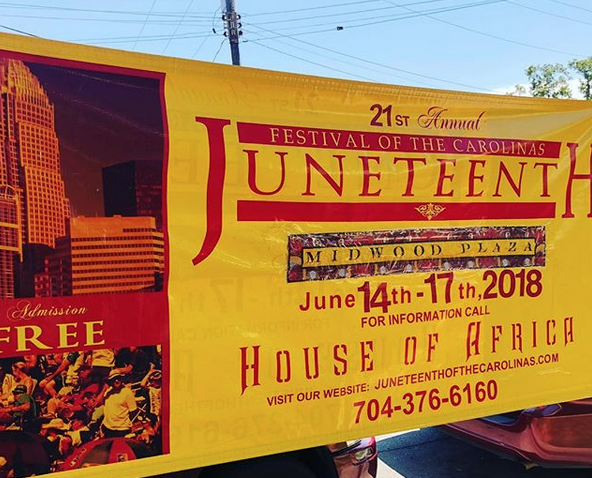 House of Africa hosts Charlotte's annual Juneteenth Festival along Thomas Street and Commonwealth Avenue every June. Charlotte East showcases many of the international eateries along Central Avenue for Taste of the World every October. Each year, PMNA hosts our outdoor movie nights, typically showcasing four to five movies on the big screen and under the stars in Midwood Park between April and October. The Plaza Midwood Merchants host "Midwood Markets" throughout the year along Commonwealth Avenue with dozens of vendors and outdoor activities. 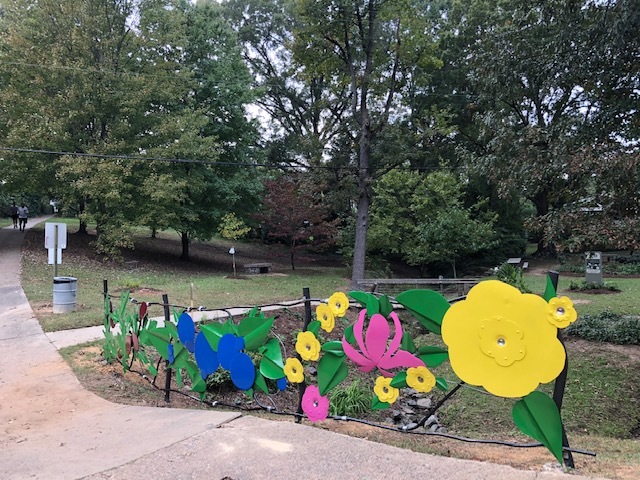 Plaza Midwood neighbor Deborah Triplett organizes Yard Art Day each year on Labor Day to celebrate great local art. PMNA hosts our annual Christmas Light Ball Workshop & Holiday Bazaar every December, with vendors for holiday shopping and a workshop to build light balls to decorate your yard. This happens in conjunction with the "Running of the Balls" 5K event. PMNA and CMPD team up for National Night Out in Veterans Park each August, with food and fun for the kids. 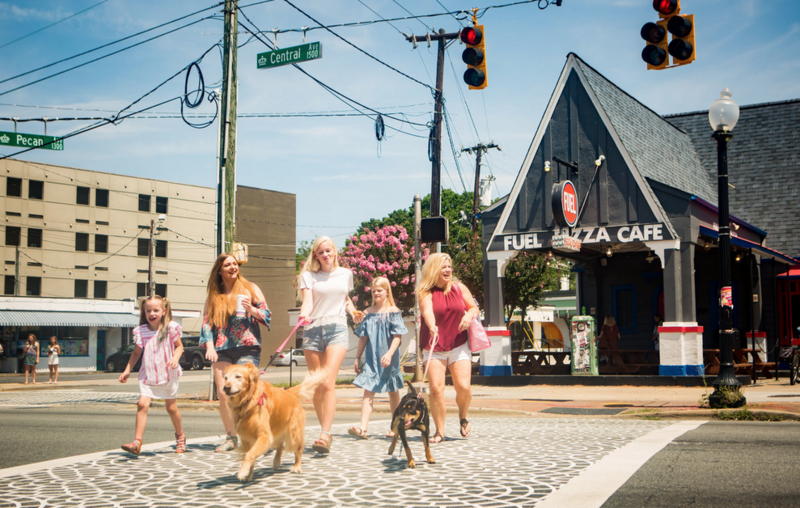 Plaza Midwood is a dog-friendly neighborhood, and we love seeing all our furry friends out and about. PMNA has installed more than a dozen dog waste stations throughout the neighborhood. See a full map HERE. Our nearest veterinary clinic is Commonwealth Animal Hospital. There are several nearby pet food stores, including Pet Supplies Plus in Elizabeth and Four Dogs in NoDa. We have several local dog trainers, including Robin Lincoln and Off Leash Dog Training. From boutiques to beers, pizza to ice cream, burgers to Mexican and gastropubs to dives, Plaza Midwood has it all. And while the new spots are always popping up and the classic remain, the best place to keep tabs is at the Plaza Midwood Merchants site HERE. 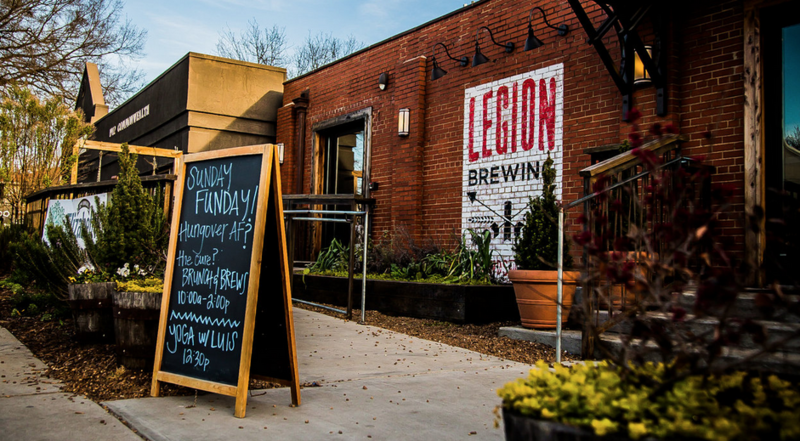 Plaza Midwood is home to three breweries: Legion on Commonwealth Avenue, Pilot Brewing in the One305 center and Resident Culture on Central Avenue. Additionally, we have four bottle shops: Common Market on Commonwealth Avenue, The Hop Shop on Hawthorne Avenue, Deli Street on Central Avenue and Tip Top Market on The Plaza. Plaza Midwood has several coffee shops as well, including Dunkin Donuts, Undercurrent Coffee, Nova's Bakery and Central Coffee. The primary grocery store for Plaza Midwood is the Harris Teeter on Central Avenue and The Plaza. There is a Food Lion location on The Plaza in Villa Heights, just north of the neighborhood. Several bodegas in the neighborhood offer the basics, including Common Market and Tip Top Market. Organic Harvest offers a wealth of organic and green-sourced options. There are two regular farmers markets in Plaza Midwood, too. Common Market hosts a small market every Saturday in the spring, summer and fall. Pure Pizza hosts the Sustainable Saturdays market each week in The Barn. CVS on Pecan Avenue and Giant Genie on Central Avenue offer pharmacy options, as well as the Harris Teeter grocery store. Pike's Pharmacy in nearby Plaza-Shamrock is a PMNA sponsor and offers pharmacy delivery. Midwood Dentistry operates in Plaza Midwood. There is an Urgent Care location on The Plaza. Wells Fargo is located on Central Avenue in Plaza Midwood. There is a Bank of America ATM located near Dairy Queen on Central Avenue and a branch in Plaza-Shamrock on The Plaza. Each year, PMNA organizes our Midwood Gives Back drive, in which we provide donation bags to every home in the neighborhood to collect food for Second Harvest Food Bank, school supplies for Shamrock Elementary and pet supplies for the Humane Society of Charlotte. The event is typically held in mid-September. PMNA plans to host its first "spring cleaning" event in 2019, which will include a neighborhood-wide yard sale, recycling opportunities and donation drop-offs. Looking to donate goods? The Salvation Army in Belmont and Habitat Restore on Eastway Drive are great options nearby. Plaza Midwood prides itself on its international flair. From Taste of the World to Juneteenth, we celebrate cultures the world over. Additionally, there are tons of great eateries including Mama's Caribbean, Euro Grill and Three Amigos, our authentic Irish bar, Workman's Friend, and tons of other great options to explore. To check out more great international eats, head down Central Avenue, which is home to dozens of great restaurants featuring authentic Chinese, Mexican, Vietnamese, Thai, Salvadorian and more. Charlotte East offers suggestions. Plaza Midwood is also home to the Midwood International & Cultural Center and the International House, which helps new residents from abroad get acclimated. Our Bridge, which supports kids from refugee and immigrant families is also located in Plaza Midwood.